Exhibitions on the Banpo Museum. 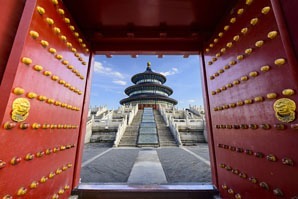 According to the chronological order, the prehistoric times of China ranged from 1.7 million years ago to the 21st century BC, which were divided into the Paleolithic Age, the Neolithic Age and the Bronze Age. The prehistoric culture of China refers to the ancient myths and legends before the emergence of Chinese characters, including Pan Gu Creating Heaven and Earth, Goddess Nv Wa Melting Down Rocks to Repair the Sky and Three Wise Kings and Five August Emperors. The emergence of prehistoric mankind (ape men and Homo sapiens) was the elementary stage of prehistoric times. These were represented by &apos;Yuanmou Man&apos; who lived 1.7 million years ago in today&apos;s Yunnan Province, south-west China, &apos;Lantian Man&apos; who lived in the early Paleolithic Age, fossils of which were discovered in North China&apos;s Shaanxi Province, and &apos;Peking Man&apos; who lived about 500,000 years ago. Fossils of the &apos;Peking Man&apos; were found in Zhoukoudian in the south-west of Beijing. A museum (the Peking Man Site at Zhoukoudian) was set up to keep the excavated items. The ape men widely used chipped stone implements and lived a gathering and hunting lifestyle according to archaeological evidence; they even mastered how to use fire to improve their living environment. The ape men were linked by blood lineage and formed loose primitive tribes later. The Paleolithic Age dates back from 2.5 million to 10,000 years ago, during which the matriarchal clan society was formed, a social system in which the mother was head of the family and descent was traced through the mother&apos;s side of the family. The mankind of the Paleolithic Age is represented by &apos;Hetao Man&apos; who lived about 500,000 to 350,000 years ago, the fossils of which were dug up in North China&apos;s Inner Mongolia, &apos;Liujiang Man&apos;, whose fossils were discovered in Liuzhou, two hours away from Guilin, in South China&apos;s Guangxi Province, &apos;Zhiyu Man&apos;, and cavemen who lived about 300,000 years ago in caves, hence the name. When the chipped stone implements were replaced by polished stone implements, the level of the productive force was remarkably improved during the Paleolithic Age. As primitive farming, stock farming and handicrafts emerged, mankind started to settle down in residences. As aesthetic and religious conceptions came into being, the earliest letter symbol emerged in the Paleolithic Age. The Neolithic Age dates back from 18,000 to 4,000 years ago, during which the patriarchal clan society, a social system in which males were the primary authority figures and were central to social organization, was formed. The level of productive force in the Neolithic Age was much more advanced than the previous times, which was reflected in the development of agricultural production, the expansion of stock farming, the emergence of ceramics and silk products, and the formation of social divisions of labor. The patriarchal family commune appeared in the Neolithic Age and showed the transition of the polygamous marriage to monogamy, where the lines of descent were traced through the father&apos;s side of the family and property was inherited by the male lineage. As the private ownership of property emerged, the gap between the rich and the poor was greatly deepened in the patriarchal clan society, which led to the disintegration of primitive society and the emergence of communities. The cultural heritages of the matriarchal clan society are scattered in different parts of China, highlighted by the Peiligang culture, the Cishan culture, the Yangshao culture and the Longshan culture. The Peiligang culture existed from 7000 to 5000 BC along the middle stretch of the Yellow River in today&apos;s Henan Province, in central China, and it is the oldest Neolithic culture. The culture practiced agriculture and raised livestock; the people hunted animals and fished for carp. They had separate residential and burial areas. The Peiligang culture was the earliest culture to have made pottery. 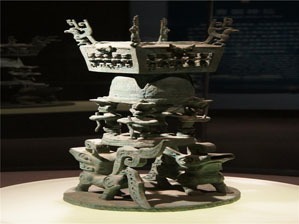 The Cishan culture was a name given to a Neolithic community found in Cishan in North China&apos;s Hebei Province. The Cishan culture existed from 5400 to 5100 BC. Like the Peiligang culture, the Cishan culture practiced agriculture in the form of millet. The people used stone sickles, shovels and knives as their main agricultural tools, and made pottery by hand. The Yangshao culture refers to a Neolithic community found along the middle stretch of the Yellow River from Gansu Province to Hainan Province, which existed from 5000 to 3000 BC. The Yangshao culture was first discovered in 1921 in Yangshuo Village in Henan Province by the Swedish archaeologist, Johan Gunnar Andersson. Over 1,000 remains of Yangshao culture were found successively, among which most were based in North China&apos;s Shaanxi Province. The Yangshao people grew rice and millet as well as raising pigs, cattle and horses. The art of pottery making was developed and refined. Excavated pottery wares showed they knew to paint the black pottery with facial and animal designs to make them look delicate and beautiful. The Banpo site was a typical Neolithic matriarchal community of the Yangshao culture. A lot of pottery and stone tools were discovered at the site. A museum was built there – the Banpo Museum – to house and display them. 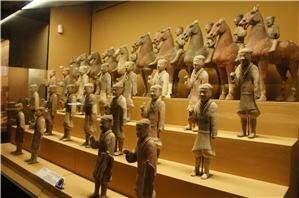 Although less popular than the Terracotta Army Museum and the Shaanxi History Museum, it is definitely worth a visit if you are interested in China&apos;s prehistoric culture. 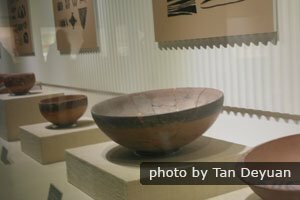 The Longshan culture existed from 5000 to 4000 BC and featured advanced technology in the arts of making delicate black pottery. 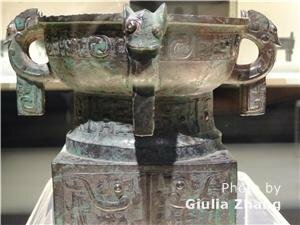 The Bronze Age dates back from the 21st century BC to the 5th century BC, from which Chinese civilization starts, and it ranged from the Xia Dynasty (2070 BC-1600 BC) to the Shang Dynasty (1600 BC-1046 BC) and to the Zhou Dynasty (1046 BC-221 BC). The Bronze Age was a period when the Three Wise Kings and Five August Emperors lived (Suiren, Shennong, Fuxi, Huangdi, Zhuanyu, Yao the Great, Shun and Yu). Qi, Tang and Jifa were the founders of the Xia (2070 BC-1600 BC), the Shang (1600 BC-1046 BC) and the Zhou (1046 BC-221 BC) dynasties respectively. 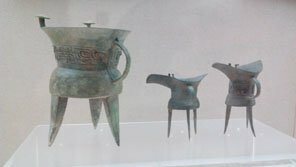 The Bronze culture reached its peak time in the Zhou Dynasty (1046 BC-221 BC), and a large number of bronze wares have been unearthed by archeologists, on which inscriptions were carved. 1. Who was the First Emperor?